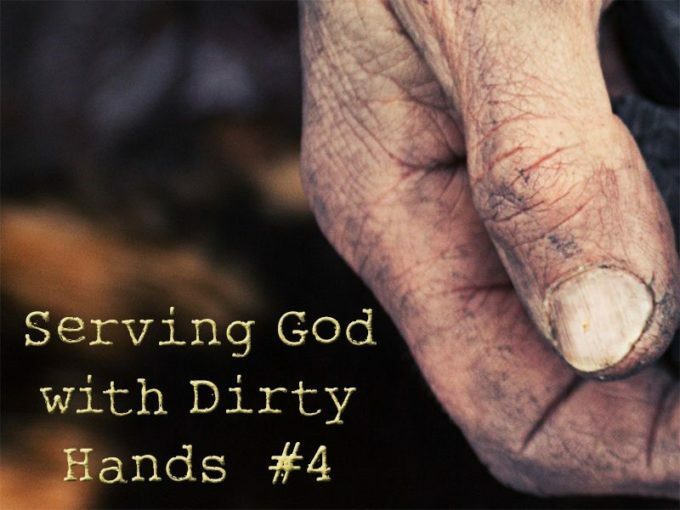 Serving God with Dirty Hands #4: Throw What Stinks Out of God’s House! What’s the greatest danger to participating in a great move of God during times of transition? I was greatly displeased and threw all Tobiah’s household goods out of the room. I gave orders to purify the rooms, and then I put back into them the equipment of the house of God, with the grain offerings and the incense (Nehemiah 13:4-9). I said it to no one in particular as I opened the pantry door. I thought I had smelled a bad odor a couple of days earlier, but this wasn’t an odor. This was all out stink! Donna was coming home soon, and I need to find the source of the stink, throw away what was making the terrible smell, clean up the pantry, and then neutralize that smell before she got home. I dug through all the stuff on the floor, took out the trash, and finally, in a corner behind some other things, I found a rotten and rancid potato! It was covered with grayish green fuzz and about a third of the size the potato had once been. I grabbed a couple of paper towels to pick up this oozing, stinking, fuzzy mess and threw it away outside. I then cleaned the floor with disinfectant and sprayed the pantry with air freshener. Ah! Nice! Fresh fragrance instead of all out stink! Perfect and ready for Donna to come home. 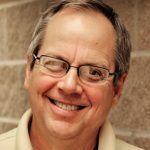 Over the last several weeks, we’ve looked at the book of Nehemiah for life and leadership lessons for God’s people during times of transition. This message, however, might be the most important. For a leader or a leadership to bring new life and a fresh start to God’s people, we’ve got to throw out what stinks in our personal lives and in our leadership processes. Anything that is unholy, disingenuous, duplicitous, compromised, dishonest, and deceptive in our hearts and in our leadership team stinks. Far worse than a foul odor, this is the rot and stench of sin in the hearts and the processes of those who are supposed to be God’s leaders. For Nehemiah, this was one of the biggest challenges: renew holy hearts committed to honor God rather than perpetuate a sick system. Nehemiah’s leadership focused on rebuilding the walls of Jerusalem and on partnering with Ezra to rebuild the passion for holiness among God’s people. These two faced the constant opposition of outside enemies — Sanballat the Horonite, Tobiah the Ammonite, and Geshem the Arab (Nehemiah 2:19-20). These ungodly opponents ridiculed the work of God’s people (Nehemiah 4:1-3) trying to demoralize them. Their threats and plans for attack were tough to bear, especially for people exhausted from their work on the wall (Nehemiah 4:7-9). Their schemes to murder Nehemiah were cleverly deceptive and could have easily discredited or destroyed Nehemiah (Nehemiah 6:1-13). Despite their constant opposition and skillful attacks, none of their schemes threatened the work of God and the efforts of Nehemiah quite like the stink of sin among the leadership. Those who should have been leading God’s people to holy renewal and completion of the work of Nehemiah and Ezra were actually aiding the enemy and undermining the morale of God’s people. These sinful leaders aided the enemy by conspiring with Nehemiah’s opponents and doing business and building family with them. Those who had money were lending money at interest to their fellow impoverished Jews working on the wall. That was bad enough, but when their fellow Jews couldn’t repay, these corrupt leaders repossessed the land of the poor workers on the wall. Worst of all, they took their poor brothers children as “collateral” and sold those children into slavery to Israel’s enemies. All of this was against the Law of Moses and the will of God. The results of this were devastating to morale and the character of God’s people (Nehemiah 5:1-13). Once Nehemiah confronted those who were doing such corrupt things and they repented of their evil ways, things progressed well. The wall was completed and Ezra helped the people rededicate themselves to being God’s holy people. Satan would like nothing more than to destroy the integrity and holiness in the inner life of God’s leaders. Later, Nehemiah had to return to Susa to his job as wine taster. While he was gone, the stink returned. Eliashib, the High Priest who had helped with rebuilding the walls (Nehemiah 3:1), did the unthinkable. This priest who was supposed to lead God’s people into a holy relationship with God, defiled the Temple of God. He removed items necessary for the Temple and the work of the priesthood from a large storeroom in the Temple. He then provided that space for Tobiah to use as his own room in the house of God. Tobiah was one of Nehemiah’s three most vicious opponents, yet the High Priest gave this Gentile who hated God’s people space in God’s holy Temple to use as his own (Nehemiah 13:4-5). The evil one is constantly at work to weaken, demoralize, and attack the people of God. When that doesn’t work, he begins to destroy the integrity and holiness in the inner life of God’s leaders. He works to get them to act corruptly, to compromise on holiness, or to be motivated by greed or self-aggrandizement. Satan knows he can bring down the efforts of God’s people and destroy the work of God by corrupting God’s leadership from the inside out. Anytime God’s people are on the move to do great things, God’s leaders must focus on their own personal holiness. They must reinvest themselves in proven spiritual practices — prayer, fasting, and mutual accountability. They must refuse to engage in politicking and back channel communication to get what they want to be done. Great moves of God’s people must be done out of the sincerity and integrity seared into the hearts of God’s leaders. God’s leaders and God’s people must throw out the stench of sin from their hearts and rid their lives of the sin that can entangle them and give Satan a foothold. Therefore, since we are surrounded by such a great cloud of witnesses, let us throw off everything that hinders and the sin that so easily entangles. And let us run with perseverance the race marked out for us, fixing our eyes on Jesus, the pioneer and perfecter of faith. For the joy set before him he endured the cross, scorning its shame, and sat down at the right hand of the throne of God. Consider him who endured such opposition from sinners, so that you will not grow weary and lose heart. (Hebrews 12:1-3).